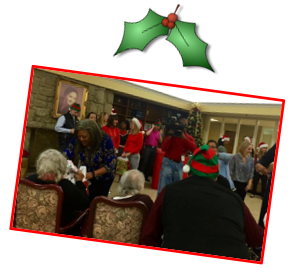 ​Second Wind Dreams® invites skilled nursing centers to participate in Gifts of Light. 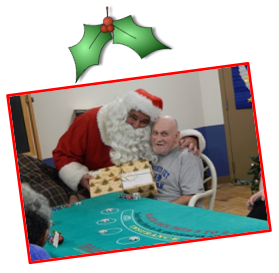 This annual program provides Holiday gifts and visits for your residents who would otherwise receive none. We rely on you to communicate your residents’ wish lists which are then matched up with local volunteers. Thanks to the generosity from donors, sponsors and volunteers, elders’ lives are brightened every Holiday season. 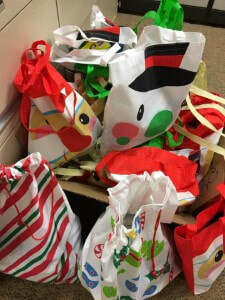 Gifts Of Light is dedicated to helping nursing home residents who are alone during the Holidays. ​These are the individuals with little or no family. Please provide ONLY elders’ names who receive little or no visitors or gifts. We will need a list of names (first name, last initial), room numbers, and personalized gift ideas. Gift Ideas: Blue cardigan sweater size large, sugar free cookies or hand lotion. ​to www.secondwind.org and we will be happy to help you raise funding. Las Vegas, Atlantic City, and New Orleans regions, please email lists to amy@secondwind.org. Other regions, please contact brenda@secondwind.org.